Our Moonshot Sports group is growing -- and having fun along the way! 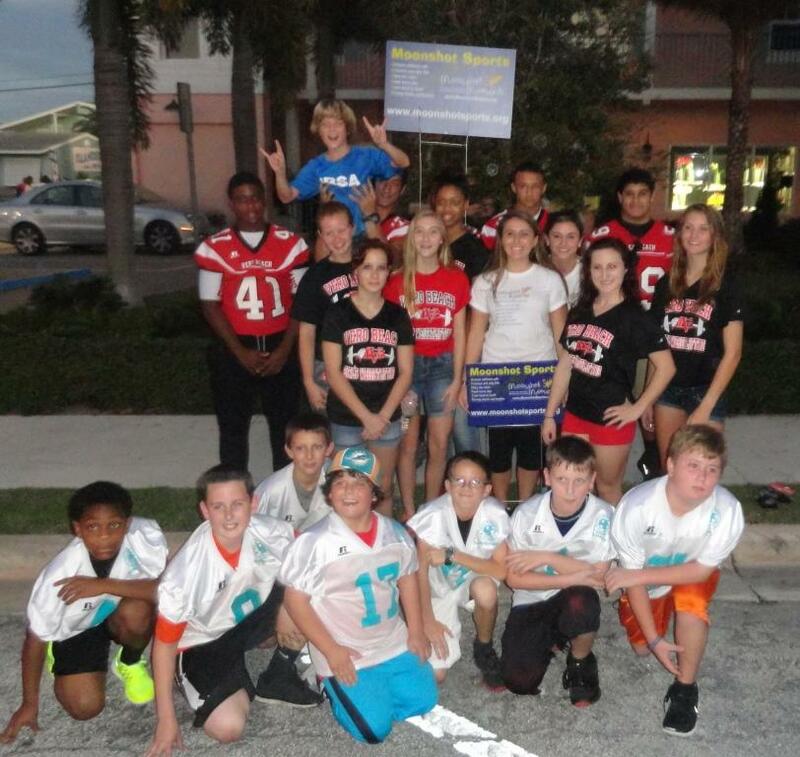 Over 80 athletes and their coaches walked with our Moonshot Sports float in the Vero Beach Holiday Parade on December 6, 2014. 1. Ask your athletes about their grades, to show that you are interested. It makes a difference to the student to know that their Coach cares. 2. Ask the child about what they are reading, and encourage them to read. 3. Encourage the child to have good school attendance, because every day matters! To learn more, visit www.moonshotsports.org. We hope you will support this worthy cause to enlist the local Coaches to influence student athletes to be better readers. Together, we can achieve the Moonshot Moment goal to have 90% of our children reading on grade level by the end of third grade by 2018!